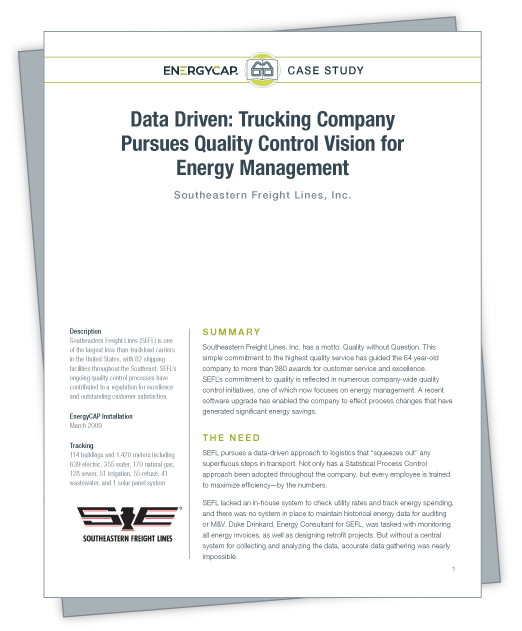 Southeastern Freight Lines, Inc. has a motto: Quality without Question. But without a central system for collecting and analyzing the data, accurate data gathering was nearly impossible. SEFL desperately needed to get a handle on the energy use for their 83 facilities.